Family Fun Football is a fun, arcade-style casual sports game for everyone to enjoy, play against friends and family in vibrant themed football stadiums, such as the Tecmodome or Moonrock Field! Choose to be one of the game's quirky characters, featuring animals, luchadors, ninjas, pirates, aliens and robots, or unlock the mode to play as your own Mii. The ability to coach teams with a simple offensive and defensive playbook coupled with intuitive Wii Remote controls makes the game appealing to all ages for a fun pick-up and play party experience. 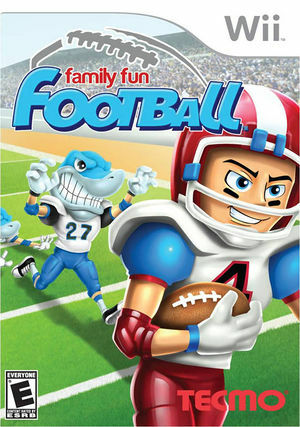 The graph below charts the compatibility with Family Fun Football since Dolphin's 2.0 release, listing revisions only where a compatibility change occurred.